Safestore Self Storage Edinburgh Leith is off Salamander Street (A199) and at the end of Leith Walk in the Salamander Trading Estate - the entrance to reception is on Carron Place. This store perfectly located for anyone looking for city centre storage or in the Midlothian area. Our friendly Safestore Leith team offer you a range of safe and secure storage solutions with various rooms from small to large units all covered by CCTV and intruder alarms for extra protection. 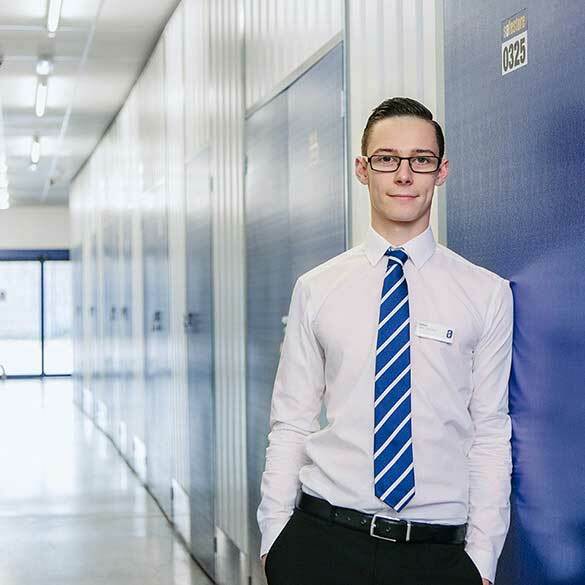 If you need affordable and safe business, household or student storage in the City of Edinburgh, Morningside or Stockbridge, our experts at Safestore Leith can help make storage easy and stress-free for you. Get a quote above today. Please view our other locations offering storage in Edinburgh. We have a range of storage solutions at Edinburgh Leith Safestore, whether you are moving house or just need some space to store your things. Use our storage size tool to help you decide what you need. Get 50% off storage for up to 8 weeks at Safestore Edinburgh Leith with no minimum stay. Offer available at all UK Safestore centres. Get a storage quote at Safestore Edinburgh Leith today and reserve a unit for free. When you move in we won't need a security deposit either. Get 20% off at Safestore Edinburgh Leith if you agree a stay for longer than 12 months. Terms apply. Whether it’s moving a sofa across town or the entire contents of your home to the other side of the country, Edinburgh Ideal Removals is an easy, reliable and cost efficient way to get the job done.